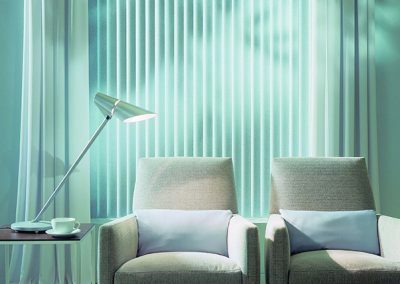 Vertical Blinds are popular for a reason, they are extremely versatile allowing you full control over light and privacy in the space in which they are used. 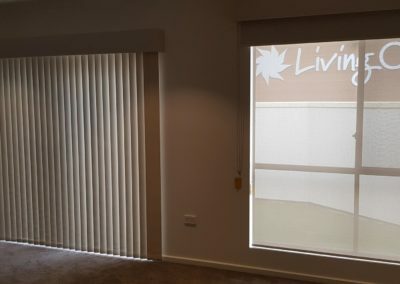 With our extensive range of colours and fabric options, you’ll find it easy to add your own, personal touch to match or complement your existing or future décor and furniture. 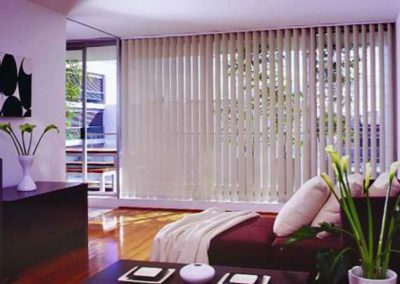 Vertical Blinds are also adaptable to just about any window shape and size. 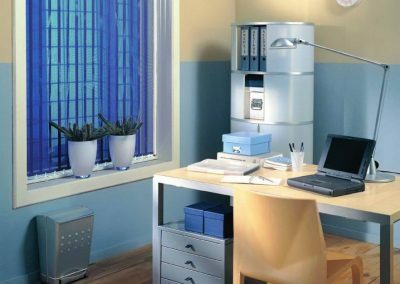 With options including a variety of draw configurations, the ability to cover large windows and an easy to use track system, our Vertical Blinds make a great choice for your home or office. 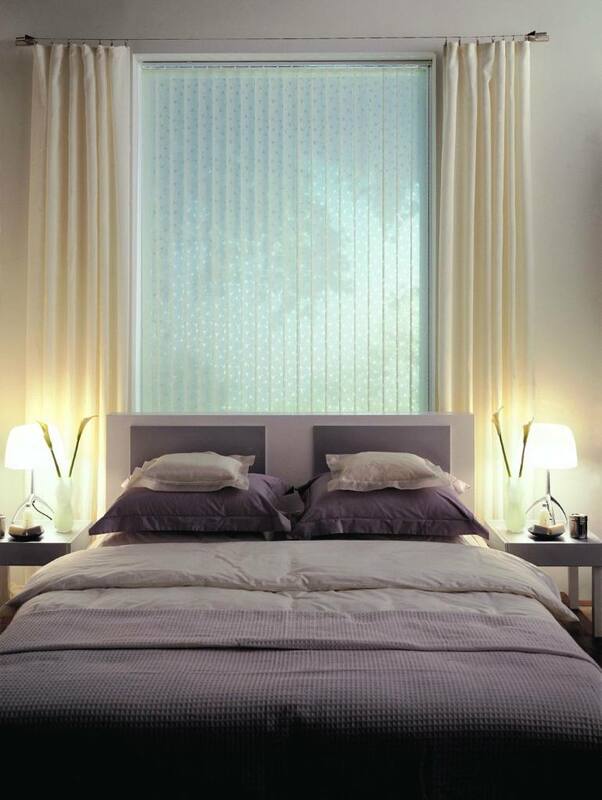 Today’s Vertical Blinds are a contemporary take on a window furnishing solution that is tried and tested. With a beaded chain and cord, you can tilt the blades for complete control and direction of light. You can also choose the option of a Traversing Wand for effortless and smooth operation control. Simply use one hand tilt the blades and draw across, and this option is 100% child safe. 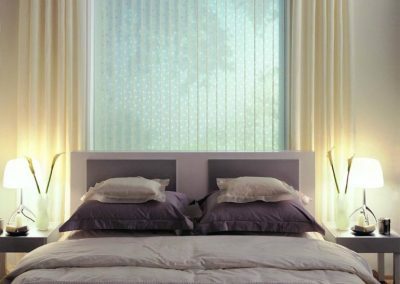 With so many fabrics and finishes to choose from, you will effortlessly add a modern touch to a traditional window product in your home. 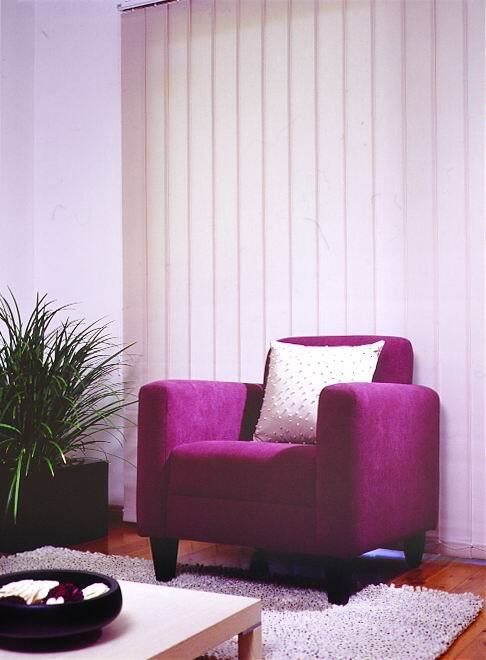 With their versatile shape, Vertical Blinds make a great looking solution for unique or hard to reach windows and they are easy to clean too. 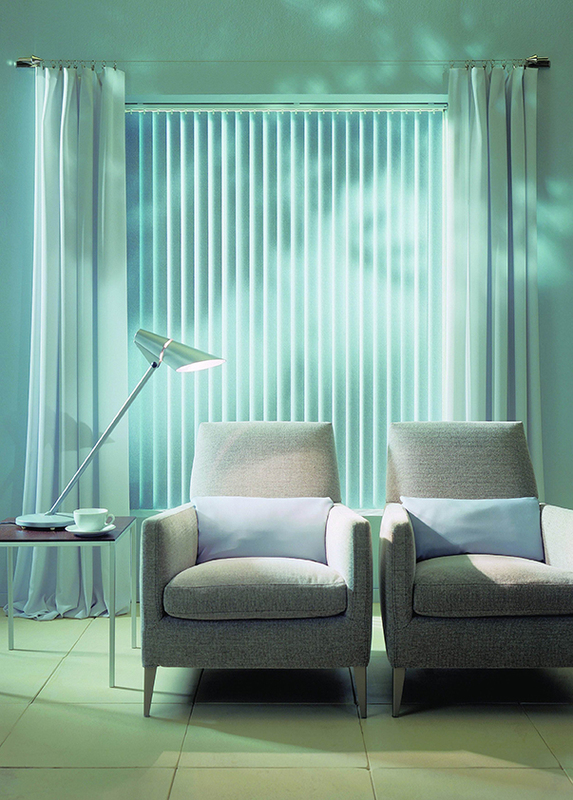 All our Vertical Blinds are custom cut to perfectly fit the space you’re wanting covered.  Our installers are experienced and will provide you with the perfect finish. 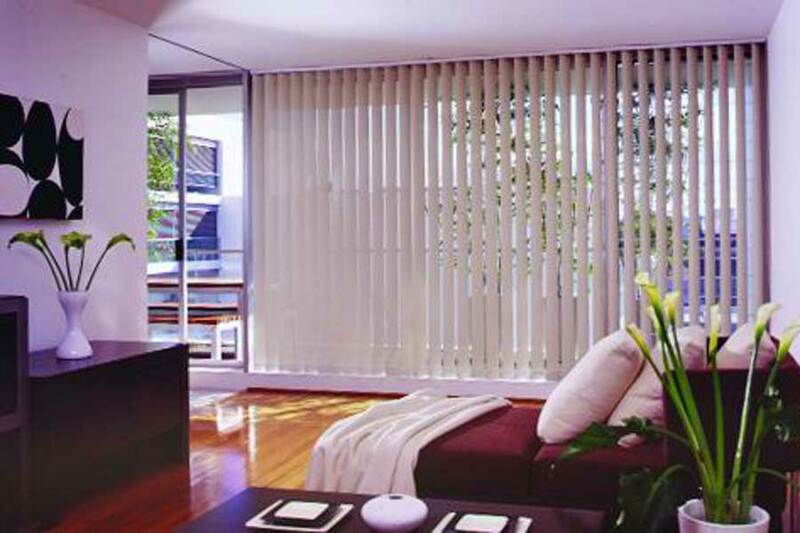 We take care of the entire installation process for you. 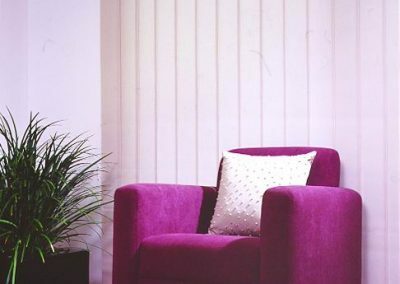 Let us help you add a modern and stylish touch to your home or office. 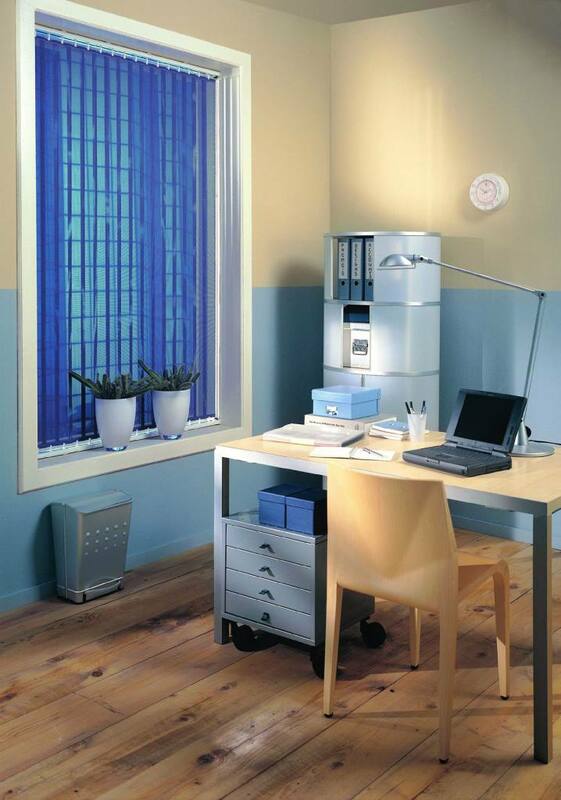 Yes, you can have all the benefits of our Vertical Blinds in your office or place of work! 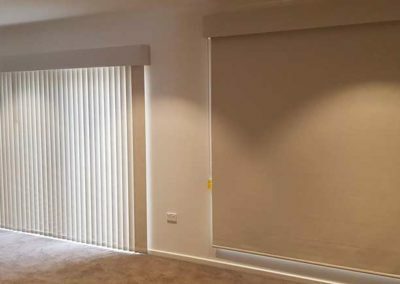 These are a very cost effective way of filtering light and ensuring privacy, especially if you’re looking at covering larger areas. Please contact our team for further information about how we can help in your office or work place.